This thought might produce a minor headache - but bear with me, dear reader - for there is a revelation of historical porportions behind this poor attempt at making justice to one of the most fascinating and unsung characters of modern pop music. In order to contextualize the present issue, I will now present you with another unprobable scenario: what if the Beatles were a group of anonymous musicians recording obscure masterpieces in a suburban attic, waiting all their lives for a break? How would you feel listening for the first time to Sgt Pepper or the White Album, knowing that you're sharing a precious secret with the few others who had the chance of discovering such wonderful and unknown music? 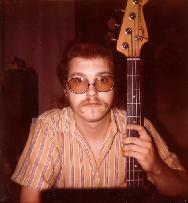 You would probably feel a lot like me when I first came upon the unsung genius of R. Stevie Moore. Now, some of you might think that my fantasy of the Beatles producing in obscurity makes no sense because, after all, someone that good can't stay unsung for so many years. Well, if you've never heard R. Stevie Moore, you might be proving my point. There is no question here of fatuous admiration, nor am I suggesting that all of Moore's work is perfect and beyond reaproach. But since his achievments have, until now, been grossly underrated, I feel it is high time RSM was granted the priviliged position he deserves. An inspired and prolific singer/song-writer, Moore has created an eclectic body of work composed of more than 400 albums, home-recorded between 1968 and now (2007). Such a compulsive musical activity is as natural to him as breathing - he likes to think of himself as a recording artisan, and of his work as a sound diary. Obviously, not everything in his huge catalogue is of general interest, but if one filters through all the failed experiments and self-indulgent noodlings within (he never throws anything away), there will still be a core list of dozens and dozens of amazing double albums, containing what some people have referred to as "America's hidden musical treasure." R. Stevie composes, arranges, produces, sings, plays every instrument (except horns), makes the covers, burns it in CD-Rs and sells it directly through his own bedroom label. The music ranges from pristine pop architecture to wild tape manipulations, and everything inbetween, properly glued together in idiosyncratic sound collages. Creating at a pace of one song per day, Stevie proposed to detonate the foundations of pop culture, only to reconstruct it as a fascinating wasteland of disjointed bits and pieces, where extremely well crafted songs are interspersed with snippets of found sound, arty experimentalism and odd humoristic skits. But though eccentric, his music has a surprisingly broad appeal - even a radio-friendly quality. Moore has an acute flair for extremely catchy pop tunes, delivered with such an inventive freshness and heartfelt authenticity, it brings to mind the golden days of British Invasion, Psychedelia and Punk Rock. Once called the man "who wrote the best 100 pop songs that no one ever heard," R. Stevie has recorded a long list of unsung hits that include sophisticated Beatle-esque pop, naive Brian Wilson-like gems, Power Pop anthems, sweet '70s rockers and infectious Punk Rock classics. 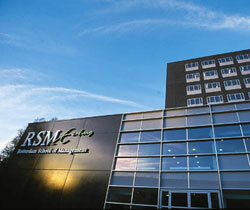 So why is RSM still invisible? A chronical struck of bad luck, plus continuos lack of support, a self-imposed reclusiveness and a strong reluctance to work by the industry's standards, has led him in an anonymous but highly prolific journey through a long underground tunnel, running parallel with the last 4 decades of music history. Referring to his obscurity, someone once said": "someday the world will be pleasantly surprised." That time may be far (or not), but one thing is certain: it is inevitable. Not only for the authentic quality of his music, but because R. Stevie Moore has an undeniable historic importance. 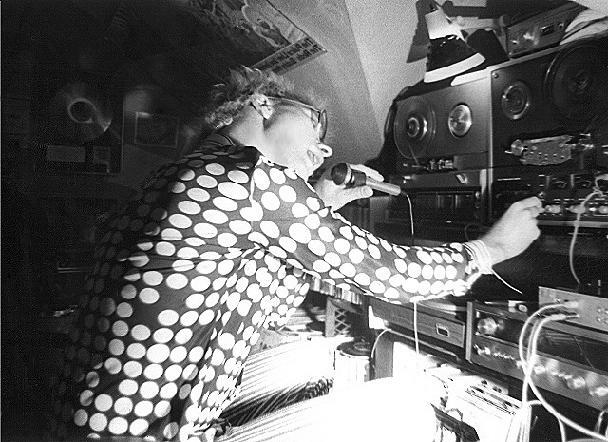 Often considered the founding father of DIY Home-Recording, Lo-Fi and Indie Pop, Moore is also one of the progenitors of underground tape culture, that began in the early 80s and later evolved to the CD-R/mp3 revolution of today. 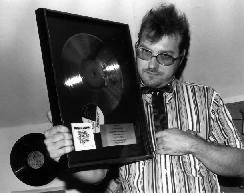 Around 1981, he founded the RSM Cassette Club (now the CDRSMCLUB), through which he still sells his music directly to his fans. "I'm not just putting out cassettes because they're cheaper or because American record companies are ignoring me," he says. "My cassettes are a diary of sound. A very personal kind of thing; this is what I do, writing songs and building soundscapes. It's almost a kind of sickness." Curiously, it started has an hobbie. 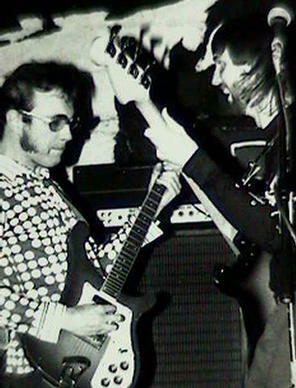 Born 1952 in Nashville, Tennessee, R. Stevie Moore grew up in the heart of America's Country music empire. 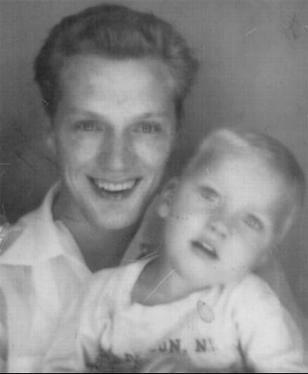 His father, legendary session man Bob Moore, was Nashville's top studio musician - who worked with everybody from Elvis Presley to Kenny Rogers. 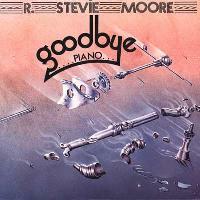 Following hid dad's footsteps, young Stevie took piano and guitar lessons. At the age of 10 he sang a duet with Country's superstar, Jim Reeves (the amusingly corny "But You Love Me Daddy," featured in 2004's retrospective Tra La La Phooey). Moore spent most of his teenage life absorbing the wonders of '60s music: Beatles, Zappa, Beach Boys, early Pink Floyd, Hendrix, Kinks, Zombies, Traffic... Everything but Country music. He couldn't stand it. 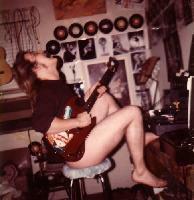 He formed garage bands with his friends and goofed around with the instruments that laid all over the house. 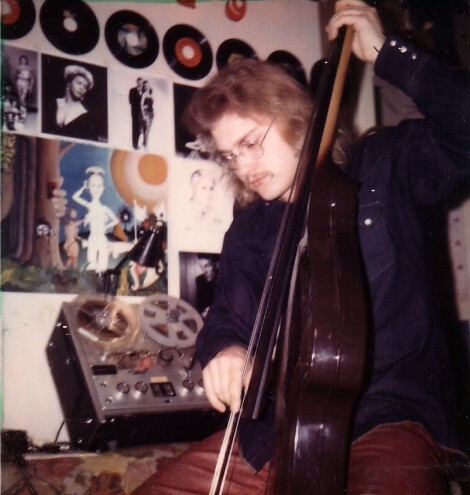 In 1966 he started experimenting with home-tape recording, using some of his dad's equipment to record teenage operas in a Mothers of Invention vein. 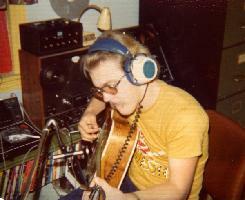 R. Stevie also began working for his father as a studio musician, in what he described to be "inane Country sessions." When it was over, he would return home to light a joint, put the earphones on and let the VU meters swing to his unique brand of creative music. In 1971, Moore dropped out of college, got his own pad and started taking his tape recording more seriously. 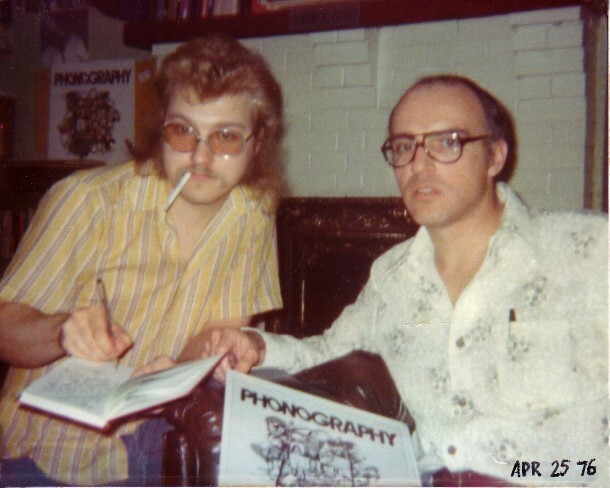 From 1974 to 1976, R. Stevie collected a fascinating and often brilliant diary of sound and music. Dozens and dozens of tapes were recorded and stored. While his listening methods were improving, his musical influences were broadening with the advent of Prog, Glam, Punk and New Wave. Names like Roxy Music, Sparks, Bowie, Todd Rundgren, Ramones and Talking Heads started to play an heavy influence in his music. 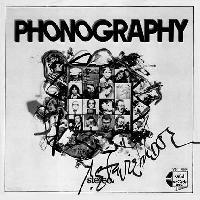 It wasn't until 1976 that Moore's uncle, Harry Palmer, helped compile and finance his first LP - a selection of songs and sounds from RSM's extensive musical diary called Phonography (a term meaning "sound writing"). Palmer pressed a limited edition of 100 copies for demonstration purposes only. The album was rejected by the industry's standards, which felt that it was probably a bit too weird to produce any mass sales. On top of that, Moore had no band, let alone a live following; and as such, he represented a risk that no label was willing to take. But as fate would have it, a copy managed to astound New York's underground magazine, Trouser Press. They wrote raving reviews, declaring it a masterpiece and, consequently, Stevie began to gain some cult status among the growing Punk and New Wave scene. Young music writers like Kurt Loder (later the famous MTV host) and David Fricke (currently the senior editor of Rolling Stone) showered Moore with praises, describing him as a "seemingly bottomless well of talent" and "criminally neglected artist." Meanwhile, Palmer and Moore decided to issue a 4 song EP from Phonography, as HP Music's (their self-created indie label) first official release. 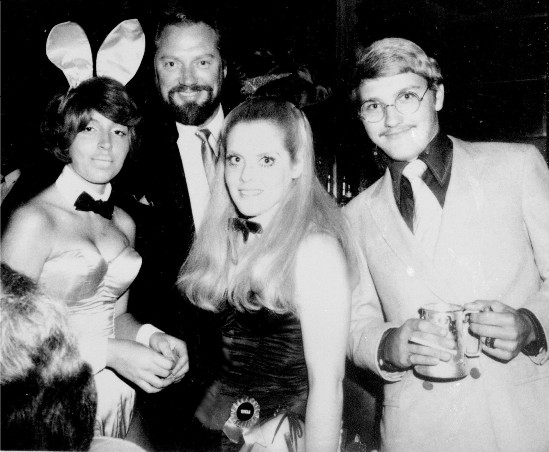 Again, a number of copies were distributed by mail to a number of selected destinations; but still, it seemed that Moore's home in the recording industry was far from materializing. Phonography included such early gems as the dazzling "I Wish I Could Sing," a very peculiar cross between a garage Brian Wilson and a Prog Rock orchestra; the highly addictive Power Pop of "Why Should I Love You," the breathtaking simplicity of "Hobbies Galore" and the weird and wonderful "Goodbye Piano." In 1977, his eclectic genius reached a peak with a dark, spacey masterpiece called Swing And A Miss and the irreverent Sheetrock. These tapes would be the last ones to be recorded in Nashville. Tired of Music City's cultural hollow, Moore moved north to New Jersey, where he found a job at a local record store and a small attic where he continued recording his music. Together with uncle Harry, they released another album, 1978's Delicate Tension - a compilation of later Nashville songs and early Jersey recordings. Inspite of his frustrated efforts to achieve recognition, the tape recording was developing at an incredible pace, namely with 1978's successive double masterpieces Games & Groceries, Delicate Tension/Moore Stuff, The North and Pow Wow. 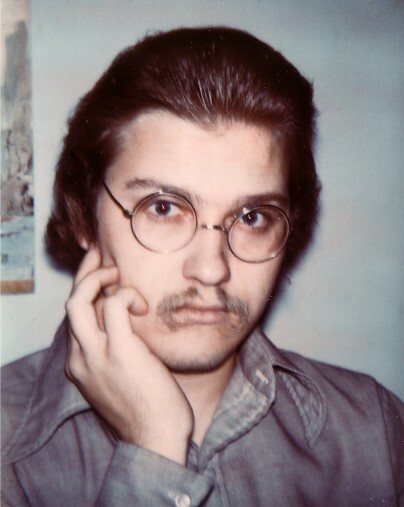 During the early 80s, R. Stevie Moore launched the RSM Cassette Club. He made a catalogue which included practically everything he had ever recorded. 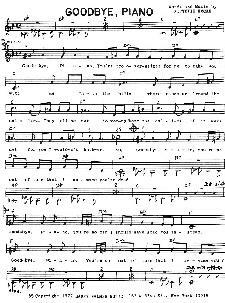 A xeroxed list with selected song titles and listenability quotient was the road map to Moore's Tapography. And by that time, it already included more than 60 tapes. "The very concept of having too much to choose from is really not of interest to me," Stevie explains, "That's the rub! Ya gonna approach Beethoven's Greatest Hits Cd, or are ya gonna do some research? Ask around? Experiment?" 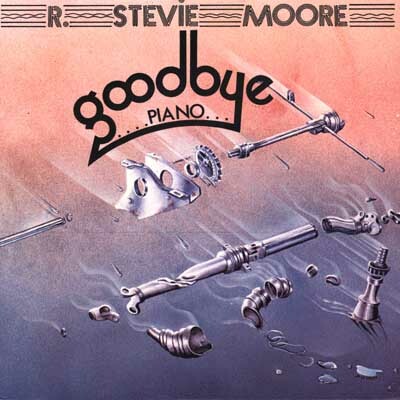 Also during this time, Moore veered in a more abstract but nevertheless fascinating musical direction - sick of his lack of success, while mediocre hacks everywhere were having too much of it (even more so with the dawning of the MTV era), and excited with the dark new sounds of Post-Punk, No Wave and Industrial, Stevie took his Pop vein aside and dove head-on into a more grudgy, raw sound that went from lose angular rhythms to bass driven funk instrumentals and beyond. Later, in the mid-80s, he had a Pop renaissance and went on to record some of his most inspired and accessible songs. It was also during this time that a number of indie labels began to get interested in R. Stevie. 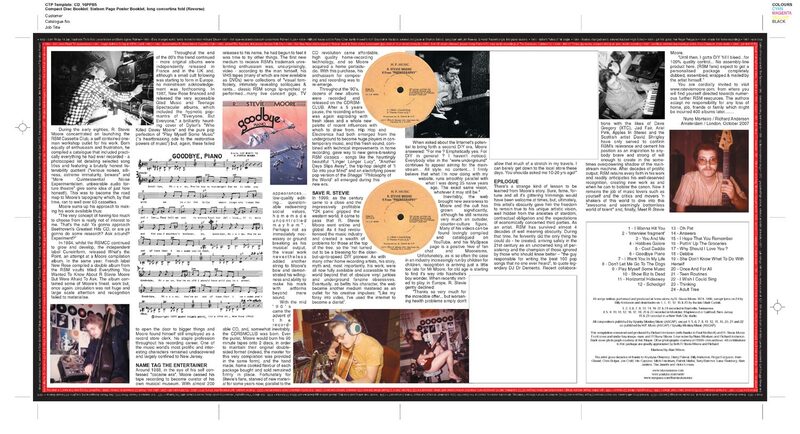 In 1984, the independent Cuneiform, released What's The Point?! !, one of Moore's most concise compilations. 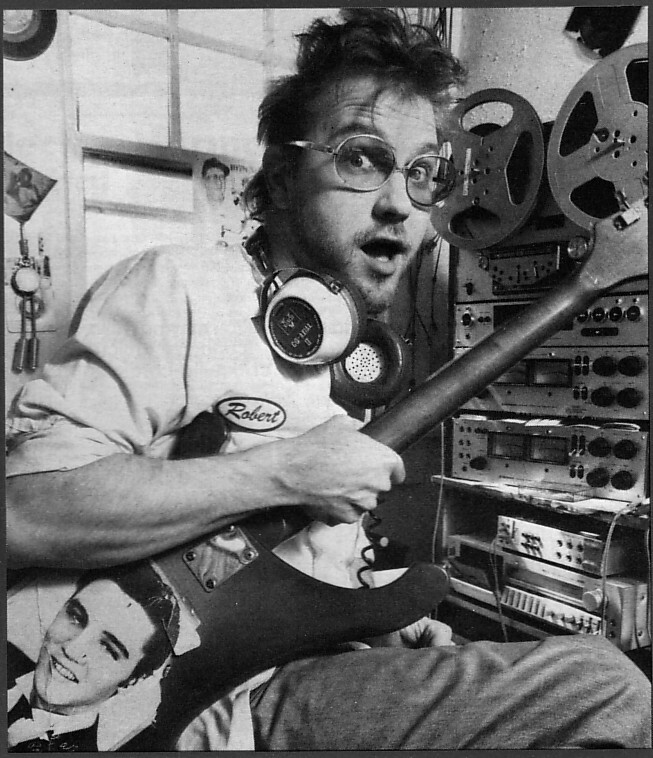 In the same year, French label New Rose compiled a double album from the RSM vaults titled Everything You Wanted To Know About R. Stevie Moore But Were Afraid To Ask. Throughout the end of the 80s, more records would be sporadically released in France, UK and Germany. A small cult was starting to form in Europe. From 1986 to 1987, New Rose financed two studio albums - the more accessible Glad Music and Teenage Spectacular. The latter included the irresistably catchy mantra of "Everyone But Everyone," a brilliantly hypnotic cover of Dylan's "Who Killed Davey Moore" and the pure Pop perfection of "Play Myself Some Music" ("a heartbreaking ode to the restorative powers of music"). "While unsold copies of his records languished in the import bins, Moore worked a series of music store clerk jobs throughout the 80s and 90s, inhabiting a modest third-floor apartment in suburban New Jersey." 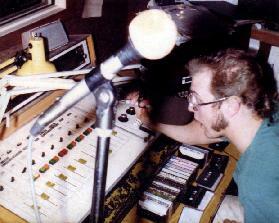 Around 1988, Moore ceased his tape recording to become curator of his own musical museum. With around 200 releases, it was time to try other things. He began using video. According to himself, his VHS tapes (now DVDs) were collections of "visual tomfoolery, intimately revealing soliloquies & rants... classic RSM songs lip-synched or performed...many live concerts gigs, TV appearances... low-quality editing... questionable redeeming social values, homemade uncontrolled mayhem." Most of which is now uploaded and properly documented on YouTube along with more recent footage and exclusive new video clips edited out of his VHS vaults by yours truly. With the 90s came the recordable CD and the CDRSMCLUB was born. He would burn his old 90 minutes tapes into 2 discs, in order to maintain their original double-sided format. 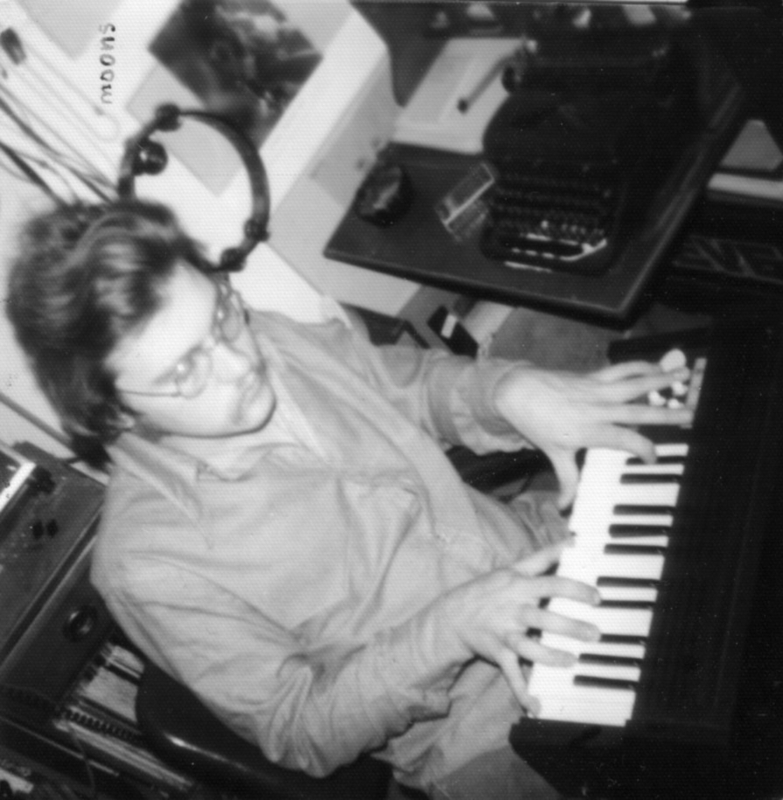 Along with the CD revolution came affordable home-recording technology, and so Moore aquired a home portastudio and with that, his composing re-emerged. Throughout the 90s and until now, hundreds of new CDs were recorded and released - including collaborations with Dave Gregory (XTC), Jad Fair, Ariel Pink and the Scottish artist David Shrigley. After a 5 years pause, the recording artisan is again exploding with fresh ideas. Technical improvements in home recording gave way to new genre-breaking classics - songs like the hauntingly beautiful "Linger Longer Lucy," the trip-hop delight of "I Go Into Your Mind," the New Age Pop of "Another Day Sleeps Away" and much, much more. In 1999, R. Stevie went online. The internet turned out to be a blessing to the old DIY pioneer. His Tapography was now fully available to the world, as well as his albums. Eventually, the web became another medium for his creative impulses: "like my foray into video, I've used the internet to become a diarist." More recently, Stevie has stormed MySpace with dozens of pages documentating many of his phases, projects and collaborations. When asked about the internet's potential to bring forth a second DIY era, Moore answered: "for me? Emphatically yes. For DIY in general? I haven't noticed. Everybody else in the www.underground" continues to appear aiming for the mainstream... All style, no content... I firmly believe that what I'm now doing with the internet, runs smoothly parallel with what I was doing 40 naive years ago. The exact same vison, whatever it may still be." Ultimately, R. Stevie is one of the last great anti-heroes of the past era. Someone who dared to challenge all conventions just so as he could have enough breathing room to create music that was true to his own artistic vision, throughout long decades of obscurity frustration and near poverty. A sour price to pay for such a bold move. An early description of Beck seems to resume very eloquently R Stevie's unique musical character. But while 55 year old RSM still produces a "wildly unpredictable" and "vibrantly messy" work in near poverty, an apparently weary version of Beck rides limousines and jet planes, doing the endless summer festival routine, paying his dues to the industry, while his once natural talent seems faded. Even though history travels through crooked roads, there's a strange kind of lesson to be learned here. Something about the inevitable struggle between creativity and fame. 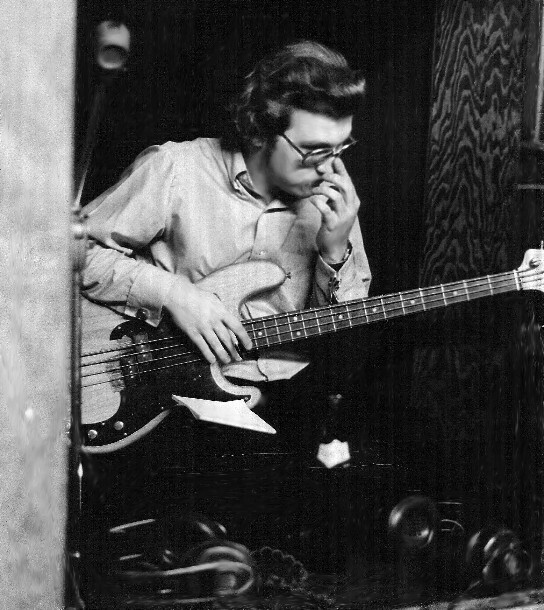 Ultimately, Moore's obscurity gave him the possibility to remain true to his unique artistic vison - away from the anxieties of stardom and its high expectations. Or like the old philosopher once said: "He shone with the greatest splendor, because he was not seen." RSM survived through 4 decades of obscurity. During that time, he fervently did the only thing he could do. He created. Like some kind of ragged messiah that followed an enlightened vision to its bitter end. Moore arrived safely in the XXIst century as an uncrowned king of persistency and firm artistic vision. A strong inspiration to anyone creating under the shadow of the mainstream machine. Until then... "I gotta DIY 'till I bleed... for 100% quality control... No assembly line product here. (RSM fans) expect to get a personalized package completely dubbed, assembled, wrapped & mailed by the artist himself." Fortunately, there is still an open end to this story. After decades of prolific productivity, Moore is still expecting his well-deserved recognition. Now it's up to music lovers and interpreters around the world to dive into this "awesome and seemingly bottomless world of talent." This compilation you're holding is just a glimpse at some of his most pop oriented material, there are whole other worlds of fascinating music waiting to be discovered. 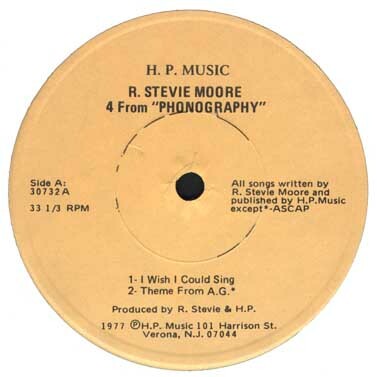 You are highly recommended to get in touch with Stevie through his site www.rsteviemoore.com so that you can start digging through his legendary Tapography and, in the process, help one of the most unique artists of our time pay the rent. and, in the process, help correct one of the most unfair omissions in music history. R Stevie Moore is one odd dude. I can't say whether he's the sort that listeners would wish to "have a beer with", but his music is worthwhile for the adventurous. There's a whole sub-subgenre of music that sometimes goes by the sobriquet of "incredibly strange music." (I'm not sure of this, but I think Irwin Chusid came up with the term.) Music that gets lumped into that category includes material by such oddities as Jandek, The Legendary Stardust Cowboy, William Shatner and others. Sometimes it's the sort of stuff one would've heard on Dr. Demento's program; other times it's even too weird for that. Then there's the whole home-taper/DIY scene. This really took off in the 1980s, with the advent of cassette-based Portastudios (remember those?). 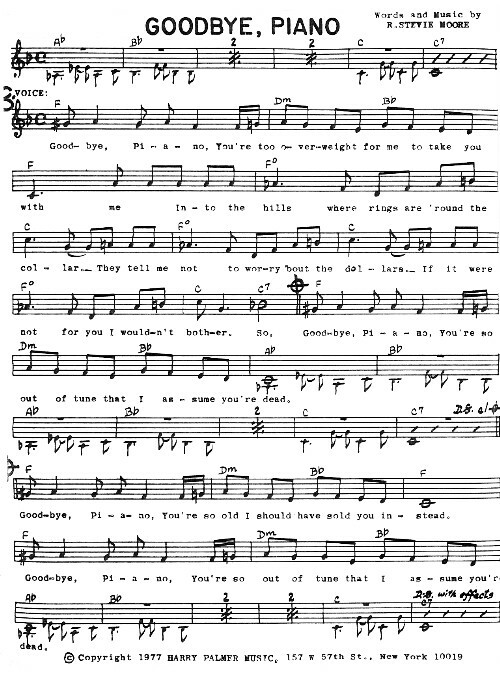 These allowed aspiring musicians to realize those songs in their head, using the sound-on-sound techniques that were brought to the world by Les Paul. With home studios, the prolific artists who -- for one reason or another (or several reasons) -- just wouldn't or couldn't play well with others could now build their own teenage symphonies to God in the privacy of their own garret (or whatever). Which brings us to Mr. Moore of New Jersey USA. 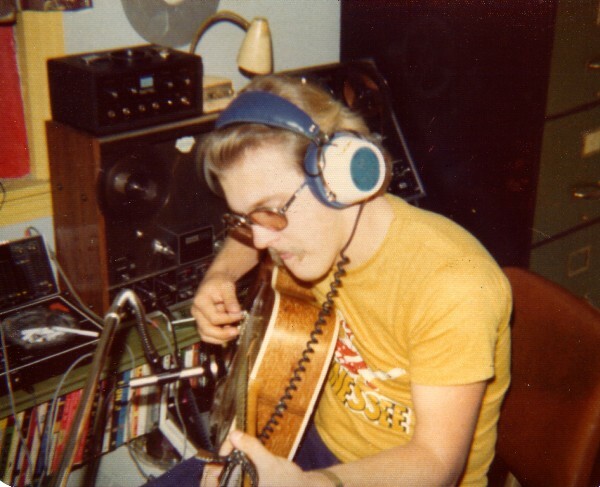 Beginning in the 1970s, this son of a popular Nashville studio cat got the recording bug. 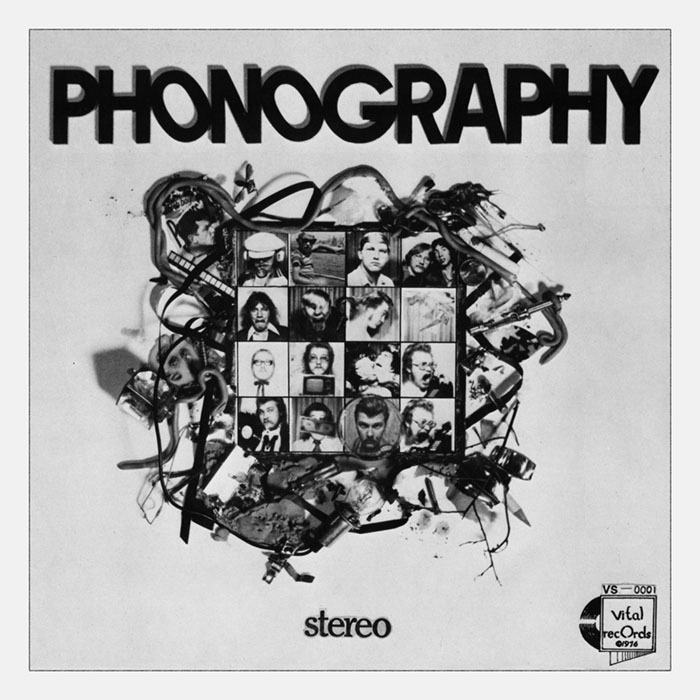 Briefly signed to a "real" label in 1976, Moore released the legendary-in-some-circles Phonography LP. Critics loved its homespun charm and knowing use of pop music conventions. The songs were based in accessible musical territory, but inevitably took bizarre left turns in their lyrics, instrumentation or arrangements. 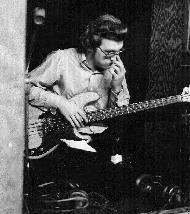 The album was recorded at home by Moore working alone; this set the pattern for the next 400-plus albums' worth of material he would release. No, that's not a typographical error. 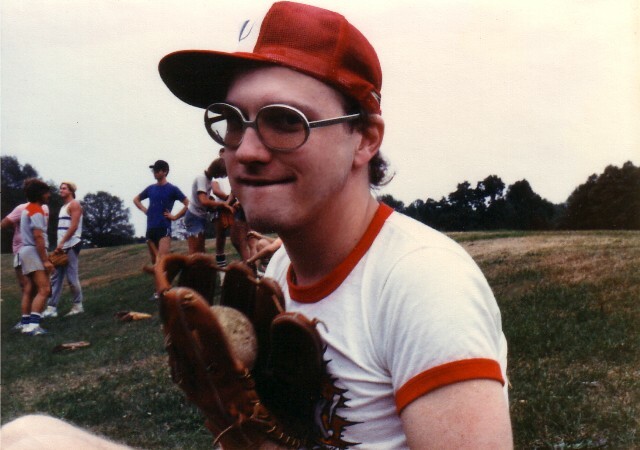 With a rate of output that would make Bob Pollard blush, Moore cranked out his singular vision, distributing the fruits of his labors on cassette to members of his R. Stevie Moore Cassette Club. He switched over to CDR in 1999. His music has been championed by those in the know, but his approach (and, one suspects, his demeanor) all but guarantees that mass acceptance will elude him. Assuming he'd even want such a thing. Now in his mid fifties, Moore follows his singular muse with no concessions to commercial considerations. His market approach is similar to (but more extreme than) that of his nearest counterpart, poet/musician Martin Newell. 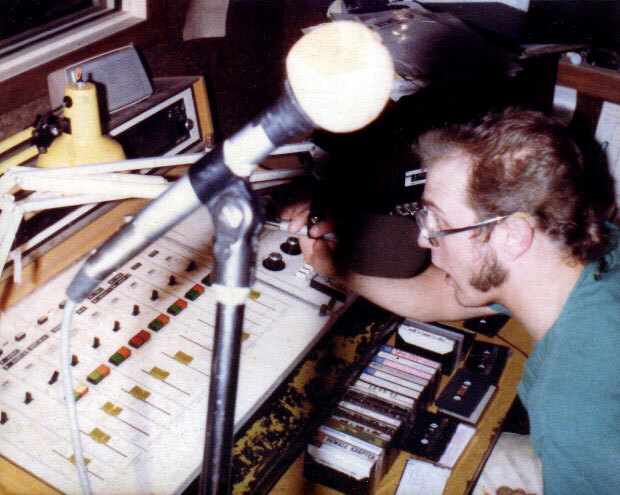 Newell charted a similar path with homegrown cassette releases, plying his trade of producing winning ear candy for a select audience. But Newell has a reasonably successful career as a poet-in-residence with one of England's largest newspapers, and tours now and then. 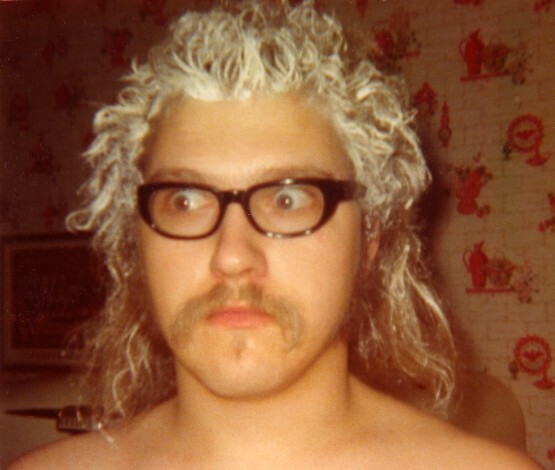 Moore is having none of that: live R. Stevie Moore shows are nearly as rare as hens' teeth. Even though he looks like a cross between (a) Santa Claus, (b) Roky Erickson and (c) that creepy guy who hangs out at the used record store down the street, Moore's music is pretty accessible (if decidedly bent) stuff. He has fans in strategic places; on several occasions over the years, various people at certain labels have decided to try and bring his music to the larger audience. Their failure to succeed has little to do with the quality of the music; though inconsistent in quality (how could it not be?) it's engaging stuff. No, it's just that Moore follows his ideas down whatever path they take him, whether an epiphany or a musical rabbit hole. So fans looking for an hour's worth of music in a particular style are bound to be disappointed (they're always Oasis for that, or if quality's not an issue, the latest Rolling Stones album). So in 2008, UK-based label Cherry Red decided it was their turn to try and promote R. Stevie Moore. 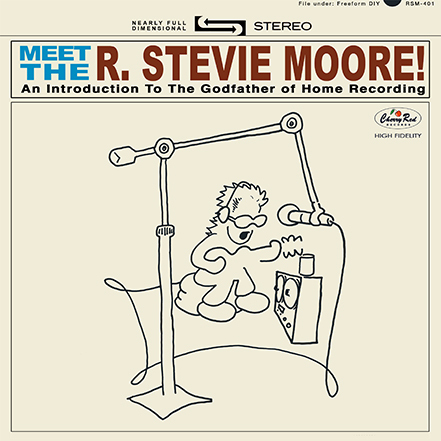 With assistance from the artist, they compiled Meet The R. Stevie Moore, a collection...a sampler..not quite a best-of...covering Moore's artistic high point of 1974-1986. Two dozen tracks hit all the bases, and give a fair overview of the man's peculiar approach to music. Clever titles like "Adult Tree" abound, as do half-formed songs that leave the listener saying, "wow. If he had just stuck with that idea for three minutes, he could've had a hit." But as Moore writes in the seemingly endless liner notes, "I can't help it. I am happy this way." Some of the songs are uncomfortably spooky, but most of them are just fun and fascinating. Find this album. It won't change your life, but if you want some music that's challenging and frustrating and catchy and inaccessible and funny and dark and just plain wacky and wonderful, you couldn't do better than Meet The R. Stevie Moore. If he'd had already passed away - or gone to the desert like Captain Beefheart - R. Stevie Moore would be one of the most undisputed references of independent music. 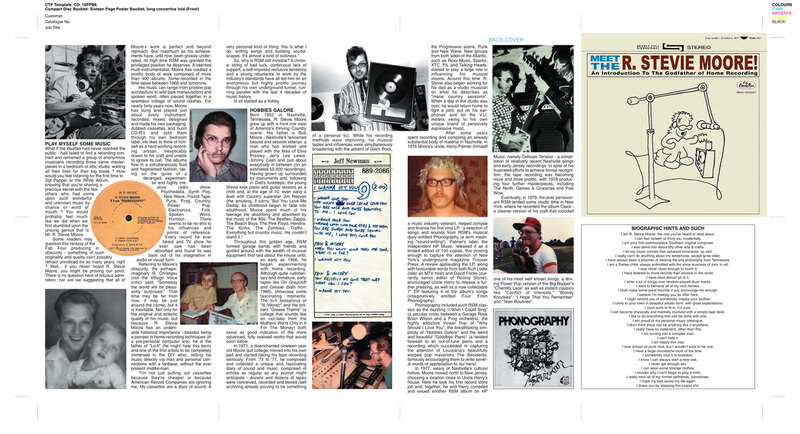 A more enlarged and global mythification seems to be the only thing that keeps away from the radar a man that for the last 40 years has written and self-released his work for music lovers and followers of this underground hero spread out through the planet. Released by Cherry Red, a mythical English label, Meet The R. Stevie Moore is the first serious anthology of his work with wider distribution. Including songs from hundreds of records he released between 1974 and 1986 - the most brilliant and productive phase of his career - it attempts with total merit and success a process of selection which, invariably would leave aside an unbelievable quantity of home recording classics. During this time when Moore composed masterpieces which painfully remain uncategorized, like Phonography or Glad Music (from which is extracted some of the songs in this 24 tracks compilation), it came from visions of greatness which hit him in his childhood in the shape of vinyl records of the Beatles, The Move, Zappa or Todd Rundgren, in order to create an immense universe of solitary individual expression, perpetually in love with songwriting and pop culture. In this unassailable collection of songs, which goes from autist ballads filled with layers of acoustic guitar and synthesizers to tape collage, and odes to out of tune pianos, platonic serenades to girls, poems of onanistic adoration not very spiritual (also to ladies), to meticulous constructions in the Sparks or Morgan Fischer vein, Moore reveals a vast knowledge of the history of anglo saxon music, an immense vocabulary which he explores with the maximum care and creativity. His voice sometimes protected by irony and the distance that such an exercise in style demands, always leaves open space to laments and opportunities for bedroom revelations, where the vocal chords of a music loving kid come out without any fear, purifying and adolescent (with pride). 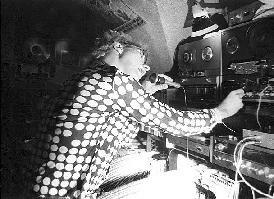 With practically all the voices and instruments recorded by Moore himself in his studio with multiple-track recorders, the craft in his work is spread out through a sensibility in the most varied sound resources, an extraordinarily evolved notion of metric, structure and narrative in his songs, to levels of production which hide the domestic origin of the music. In a time where the image of the singer hidden away from the city and other people, lost among ethereal ideals and mouldy environments, gains new shapes with a crescent collective movement of a new generation of artists, from Ariel Pink (himself also a genius, who places Moore in the highest of pedestals), to Tickley Feather, Kurt Vile or Geneva Jacuzzi, maybe now is the time when Pop finally accepts these dreams that for so long have confused and fascinated it.